What are the questions we should be asking ourselves? What are your favorite questions for growth and success? I would like to know your Right Questions. What are the questions you ask that take you to The Intersection of Purpose and Now? 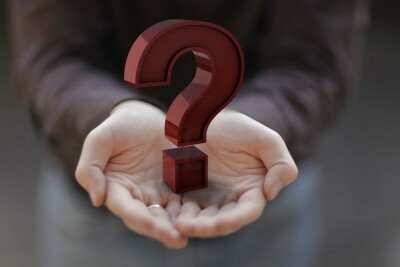 What questions stimulate your personal drive, your muse, your courage to take action and create something new? What questions lead you to authentic expression that adds value through your relationships? What questions are you trying to answer? Please share your questions with comments to this blog, join the 24/7 dialogue on Twitter or TweetChat using the hash tag #therightquestions, post to my Facebook page, or feel free to send me a direct message on Twitter. Below are a few questions from Think Big and many more from the #therightquestions history on Twitter. What ones will you add? What are I my peak experiences and why? What are my unique talents and how do I express them? How do I use my talents to serve the needs of my fellow human beings? Who are my heroes is history, mythology and religion, and why? What are the archetypical stories that stimulate my imagination and inspire me to an idealist vision? How can I make a difference without thinking about myself? What can I do that makes sense in the broad context of this extraordinary world in the next 20-30 years? What do I want? Why? What gets you excited to get up in the morning? What will people say you value most by seeing you in action today? What’s the contribution I want to make to the world? What if you had more courage to take action now on that one thing that is most important, but seems just beyond your reach? What noble purpose seems just beyond your reach? How well will I embrace uncertainty, risk and judgment to achieve my priorities this year? What happens to you if your heart creates visions that your brain doesn’t yet know how to achieve? How might you shift your thinking from old assumptions toward new ones? What happens when you do? What assumptions lead you to the results you are getting? What new assumptions could you try? How are you building your life on Value today? What are you tolerating? Why? What are you avoiding? Consider the freedom you might experience by facing your foe. How might you appreciate differently the challenges you now face? How would a breakthrough change your life? If you have not defined a balanced set of personal and professional goals: How can you prioritize them? If you have not defined a balanced set of personal and professional goals: How can you attain them? If you have not defined a balanced set of personal and professional goals: How can they motivate you? If you have not defined a balanced set of personal and professional goals: How can you be successful? If you have not defined a balanced set of personal and professional goals: How can you attract other successful people? Until you define a balanced set of personal / professional goals: How can you live life with a “magnificent obsession”? How are you aligning your values, Purpose, goals, roles, actions and relationships today? Are your deepest principles and goals evident in your thoughts, words and actions? Pick a value, any value: how is it playing out in your life and work today? Are your personal breakthroughs fading? Remember some of the breakthroughs you’ve experienced: how are you doing now? Is this tension relieving or goal achieving? When you argue with your excuses, who wins? Facing an “unhappy” circumstance? Perhaps it’s a Divine provocation? “Life’s most persistent and urgent question is, ‘What are you doing for others? '” ~Dr. Martin Luther King, Jr. This entry was posted in #therightquestions, coaching, development, growth, possibility, questions, The Right Questions. Bookmark the permalink.